If you are looking for things to do in New Orleans, you’ve come to the right place. 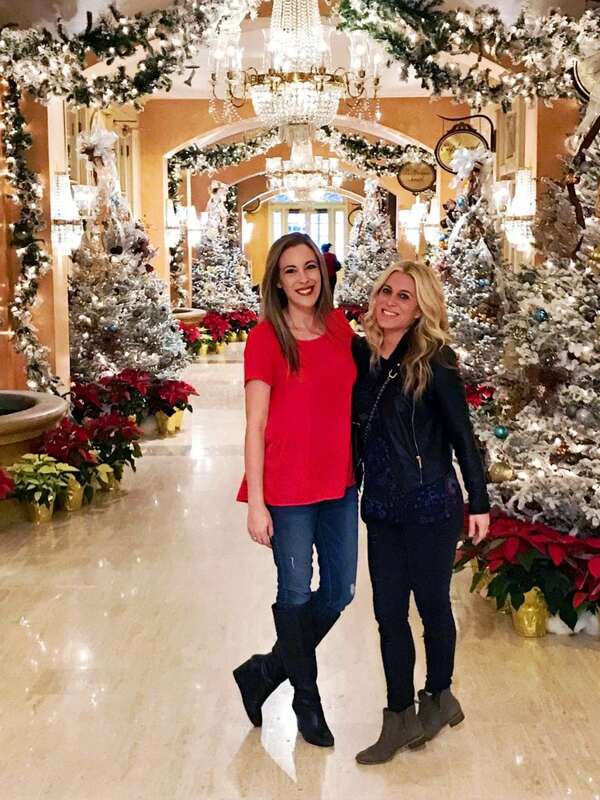 A few weeks ago, I took a trip down with my best friend, Audrey McClelland, and we had the best time. A lot of my readers followed along through my social media posts, but it’s pretty hard to create an itinerary just by liking Instagram stories all week long. So, I wanted to create a fun reference sheet for you that is filled with amazing things you can do in New Orleans. If you are looking for food recommendations, stay tuned! That post is coming up next!! For now, let’s get right into your official agenda. What’s included? History, fun, entertainment, and a lot of laughs. 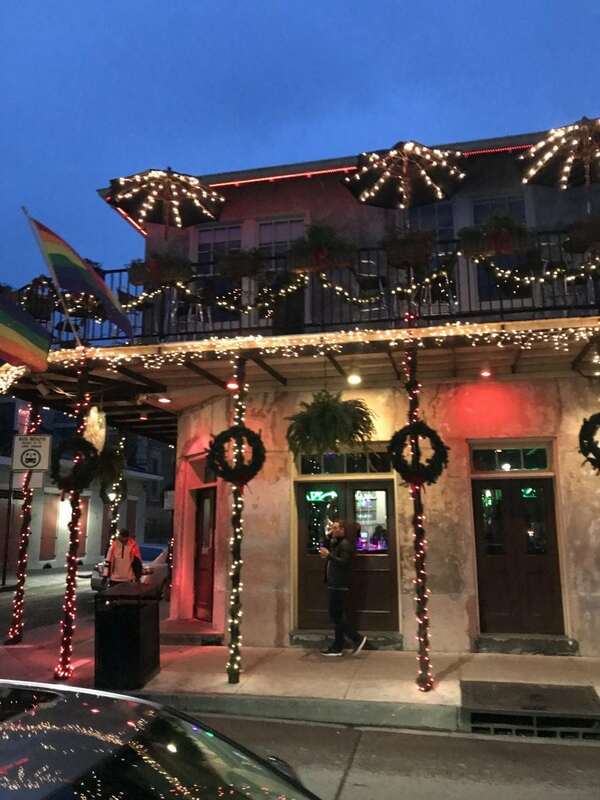 We traveled to New Orleans in the month of December and found most hotels decked out for Christmas. The Royal Sonesta did not disappoint. One corridor after the other packed with such a holiday punch that you almost didn’t want to venture out into the city to explore. I mean… look at this picture! 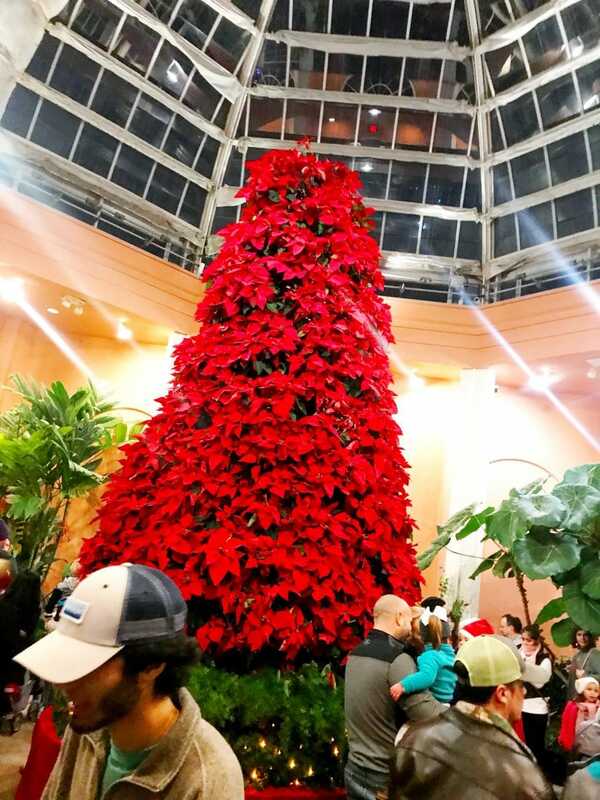 I cannot tell you how many families were taking holiday photos in our hotel lobby. Too sweet. Audrey and I even grabbed a few cameras to help out. The Royal Sonesta rooms were spacious and clean. I loved walking into this space every night after a long day of sightseeing. And in case you are wondering, I did not hear any Bourbon Street noise at night. Yes, I was a little worried about that. Thankfully, that was a non-issue. We were centrally located but nestled away. You cannot ask for more! 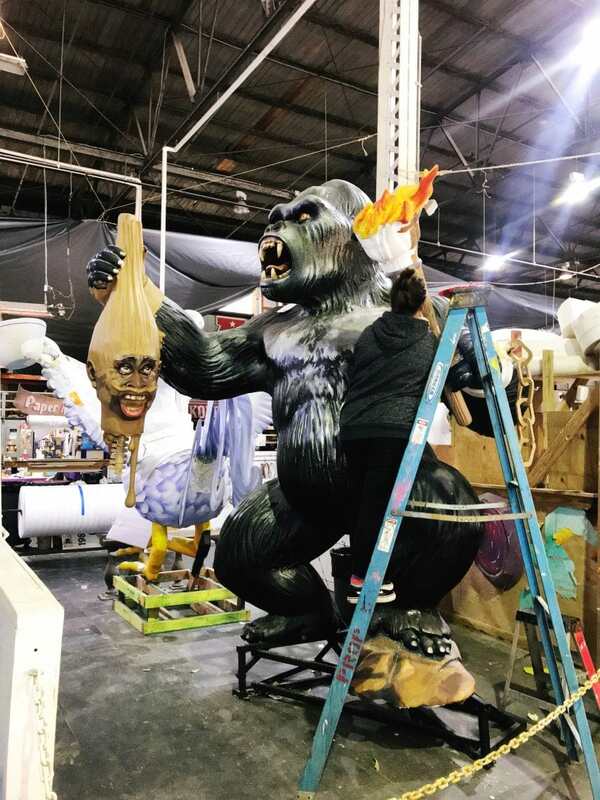 If you ever wanted to get up close and personal with Mardi Gras floats, here is your chance. 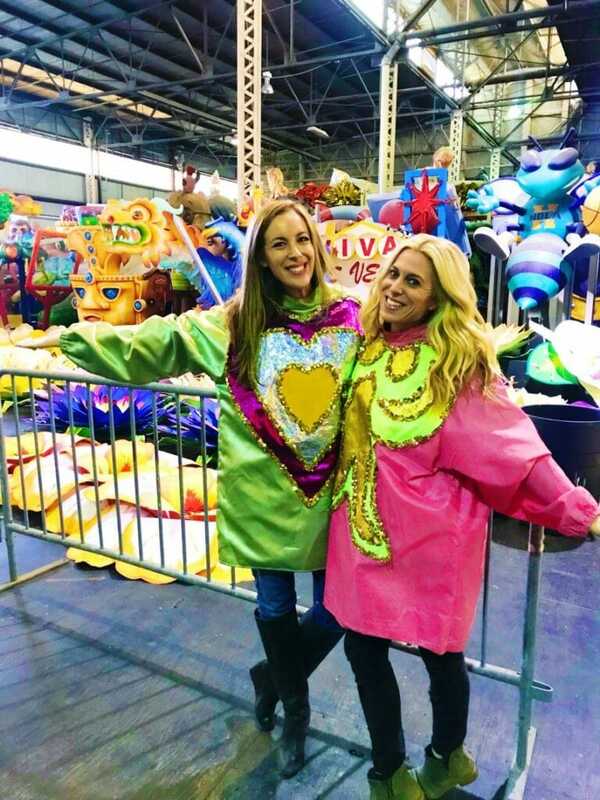 Not only did we take in some of the history, learn about the parade schedule and snack on King Cake, but we even put on some official Mardi Gras costumes as well. How fun is that?! More than 80% of the floats that journey down New Orleans’ streets are designed and stored in this facility. It’s a great place to really check out some authentic customs and decor. 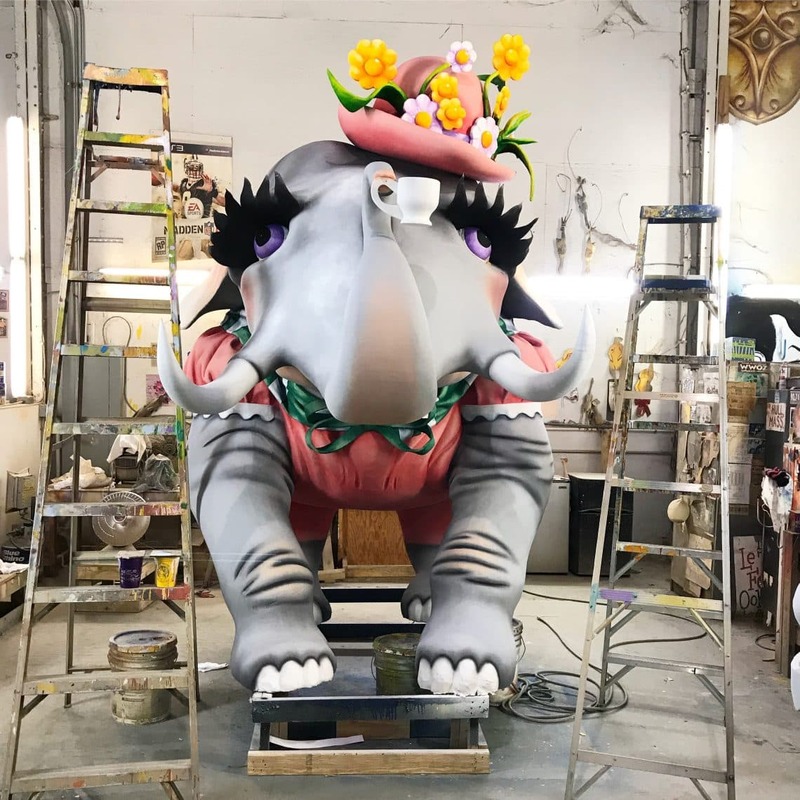 You not only see all the finished products, but you can even watch some of the artists work their magic on already existing floats that they are trying to modify. No float ever goes down the parade in original form twice. A new hat or flower or colorful bow gets added each year to change up the themes and designs. I just loved learning that! Now, because this was just for fun, I don’t want to recommend anyone in particular. We literally walked up and down the neighboring streets surrounding our hotel and found countless locations offering up psychic readings. I opted for a “past life” and “tarot” reading. Do I believe in what I was told? I’m not so sure. But you know what? I had a blast listening to the stories and I think that if you head down to New Orleans and if this is something that you are vaguely interested in, you should give it a shot. Again – it’s all for fun. I called my husband and told him all about what the woman said and he had quite the laugh. Are you an Anne Rice fan? 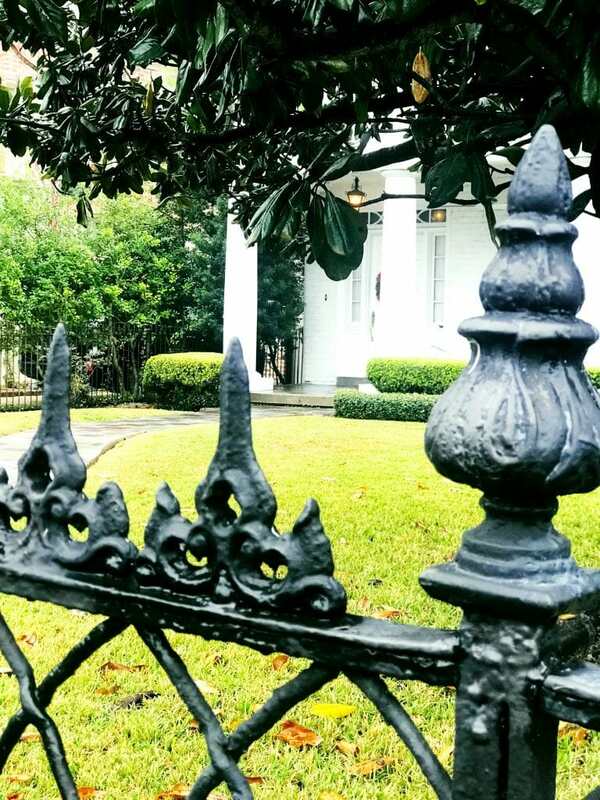 Even if you aren’t you will enjoy this architectural tour through the Garden District. The houses in this area are simply surreal. Coming from a railroad apartment in NYC, you can only imagine what I was thinking when I was faced with 20,000 square foot homes. I mean… my bedroom was a converted walk-in closet and that is not a JOKE. I literally grew up in a closet! Harry Potter style but not so mean. So, to see these ESTATES and to understand that they are currently STILL BEING USED was mind-boggling. One beautiful house after the next. I highly recommend this tour. The guide was absolutely charming and answered any questions that we had. She was a true pleasure. We even ended up in Lafayette Cemetery which was one of the main features I wanted to see in New Orleans. So historic! After the tour, be sure to walk up and down Magazine Street where you can enjoy some antique shopping and great eateries. It’s a bit away from Bourbon. You will need to take a cab to get to this area, but don’t miss out on this section. I was very happy that we ventured towards it. There are plenty of things to do in New Orleans! Don’t just get stuck in one location. Ok, I am going to be completely honest with you. When I was told to go visit The National World War II Museum, I wasn’t too thrilled about the concept. I don’t like war. I’m not into the whole notion about reliving it. It’s just not something I lean towards while on vacation. 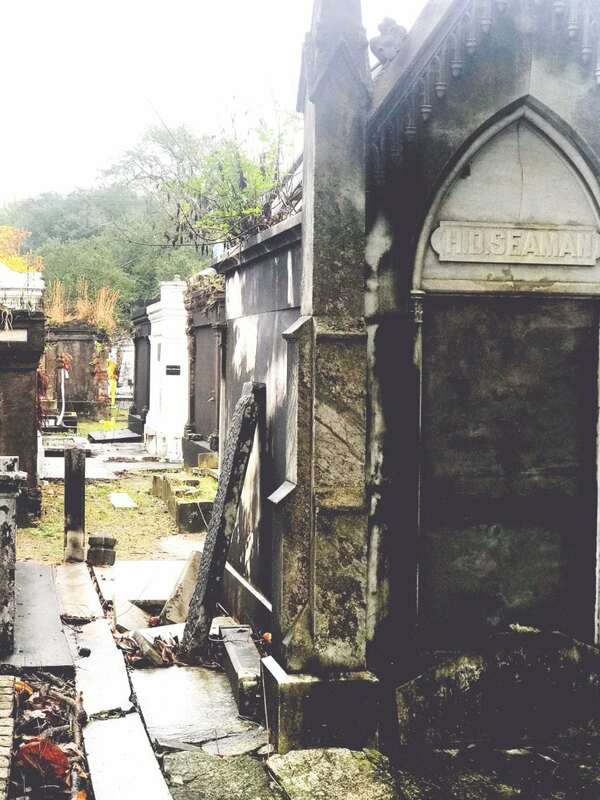 Let me put it this way – visiting this spot wouldn’t have been on my top list of things to do in New Orleans. 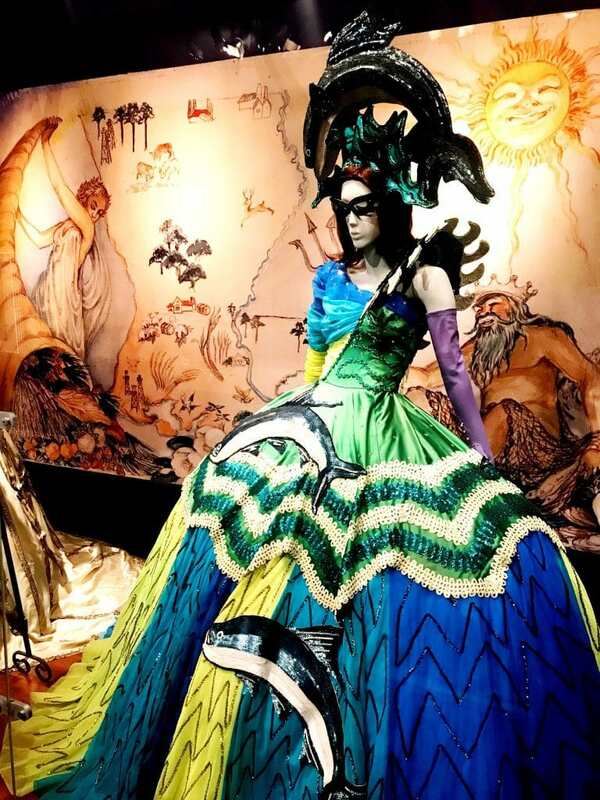 HOWEVER, after my visit and watching their movie (where I uncontrollably sobbed for a good 15 minutes), I am now planning to take my children down to New Orleans SPECIFICALLY JUST TO GO TO THIS MUSEUM. I am not overselling this. The movie gave you a very different look at the war. It gave you a very PERSONAL look at what happened to the soldiers and even made you feel what the temperature was like in the nation while all the men were away. Crying until I had a migraine. I don’t even want you to try to find the video on YouTube because it won’t do it justice. The theatre had 4D effects. Objects kept lifting from the floor and the seats shook. It was a true experience. You MUST go to this museum. I cannot say it any other way – and you MUST see the movie that they offer. This is a treasure! Before you get worried about this, I want to stop you right now. It’s not scary. It’s all about history. In fact, I find it to be really quite interesting. I’ve done these a few times and I always walk away having learned so MUCH. 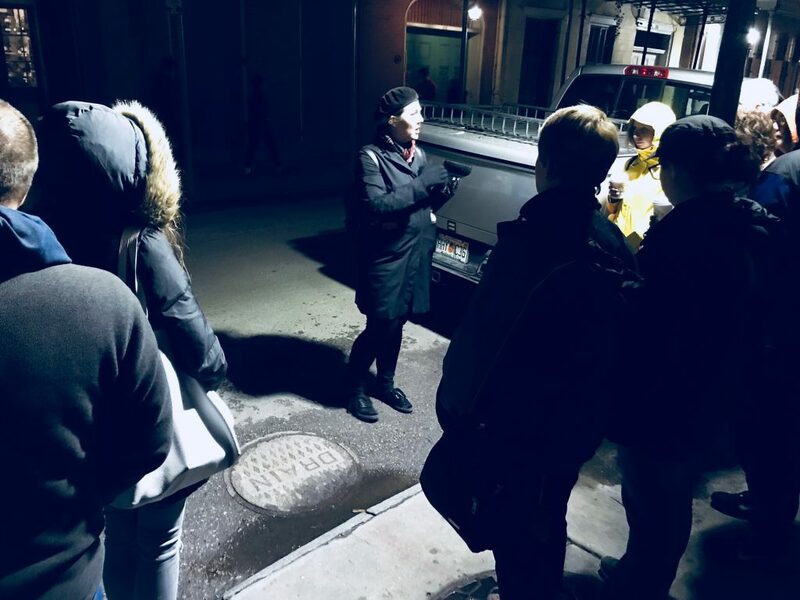 Make sure to add a ghost tour on your list of things to do while visiting New Orleans for SURE. The city has a rich history of questionable affairs. As you know, voodoo is known in this region. HOWEVER, everything you think you know about voodoo is probably wrong! 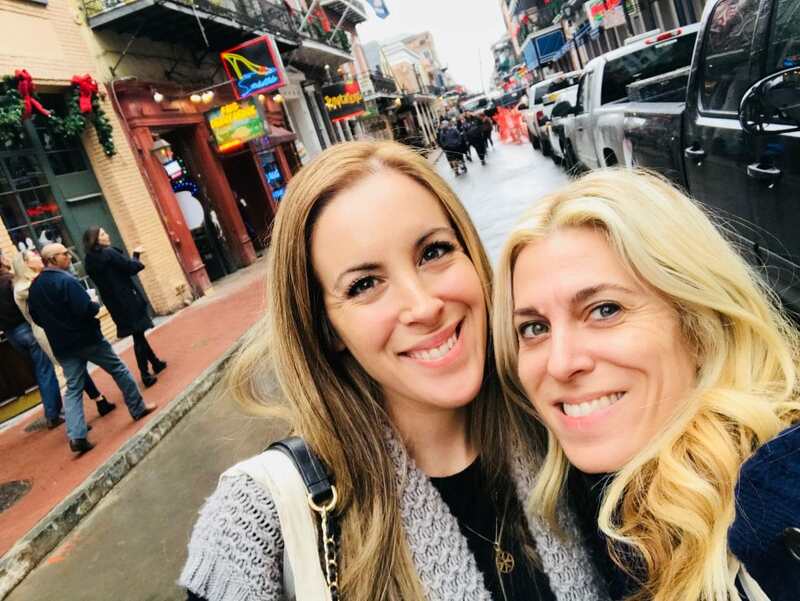 We learned so much while walking around the streets of the French Quarters. And like I said, because it was Christmas season, all these beautiful houses were done up for the holidays. It was just SO GORGEOUS. I know everyone wants to go down during Mardi Gras and I’m not saying you shouldn’t. I’m saying you should make TWO trips down to New Orleans. Once during Mardi Gras season and then once again during the holidays. I adored all the decorations!! This is an event that I believe is only seasonal. So, mark this down if you are coming in the winter. We enjoyed a spectacular holiday light show that you walk through. I believe more than 160,000 visitors attend each year. How fun is that?! There are 25 acres in the park and everywhere you turn, there is something to see. I really loved how it was so family-centric. We enjoyed seeing families partake in Storyland and the Carousel Gardens Amusement Park. 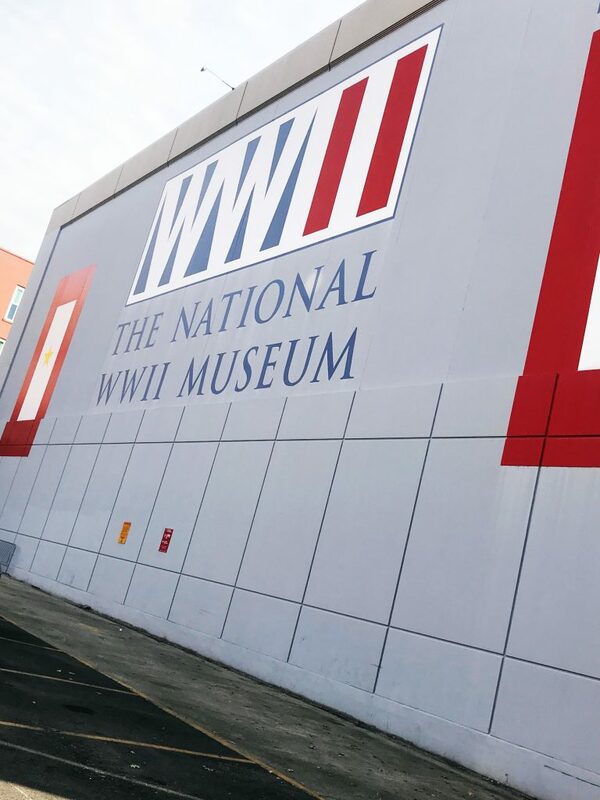 Another great museum that we had the opportunity to explore housed two very different topics – Hurricane Katrina and the origin of Mardi Gras. I considered posting the hurricane photos but I think it’s best if you go and see the exhibit yourself. It is absolutely moving. They actually took garage doors and slabs of concrete that people used to write notes to the outside world and documented them. So powerful. Once you are done with Hurricane Katrina, you then move upstairs and shift gears to a lighter subject. 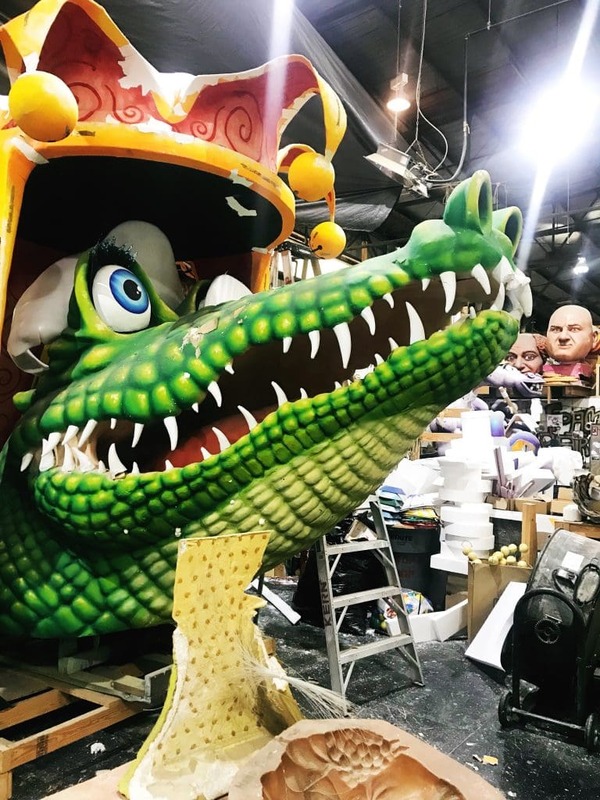 There’s a lot of information about how Mardi Gras started as well as dozens of artifacts from throughout the years. Some dating back hundreds of years! 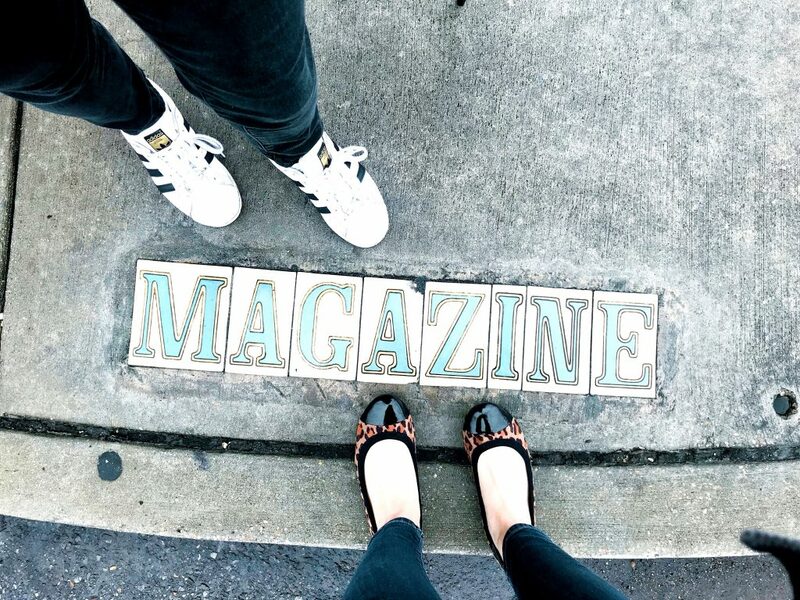 Whenever we had some free time, we would just walk up and down the French Quarter and stroll into all the shops. You won’t find many name brands here. Mom and Pop stores rule the roost in this arena and I just loved that! I tried my hardest to not spend all my money, but how can you resist fun finds like this one? The artists are so creative. You will find them everywhere you look. Even on the streets! At night, there were poets with typewriters asking you to challenge them by giving them a topic to write. Every corner had someone playing an instrument. There were women blowing bubbles and men painting with oil. It was truly a city filled with creativity. If you are someone who likes to people watch – you will LOVE New Orleans. 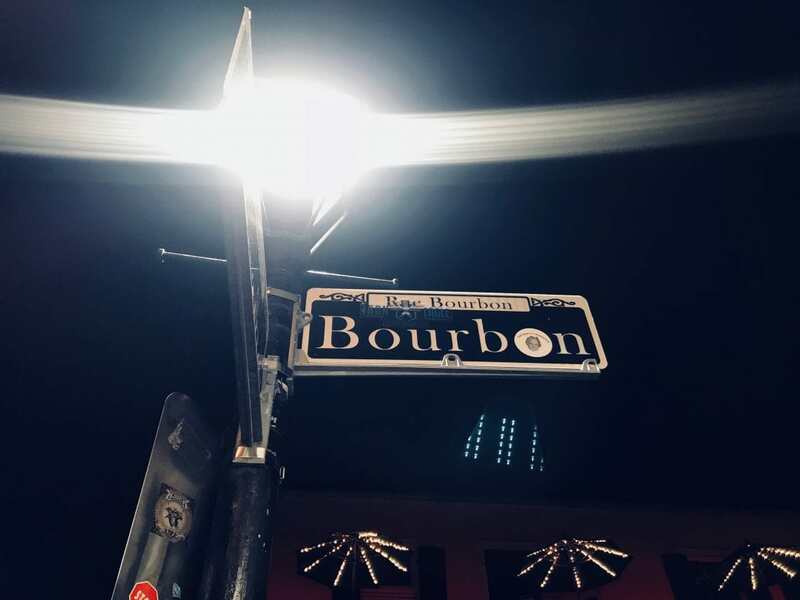 Royal Street is one block off of Bourbon. It’s hard to miss. We are old. Ok, look. I’m not OOOLLLLDDDD, but I wasn’t about to go to a club on Bourbon. That’s just not my speed anymore. Audrey and I were looking for a nice night out where we could chat and relax and enjoy some great music. We found in at the Royal Sonesta. The crowd was super chill and the music was on point! There was someone playing almost every night. I don’t think it was the same band. 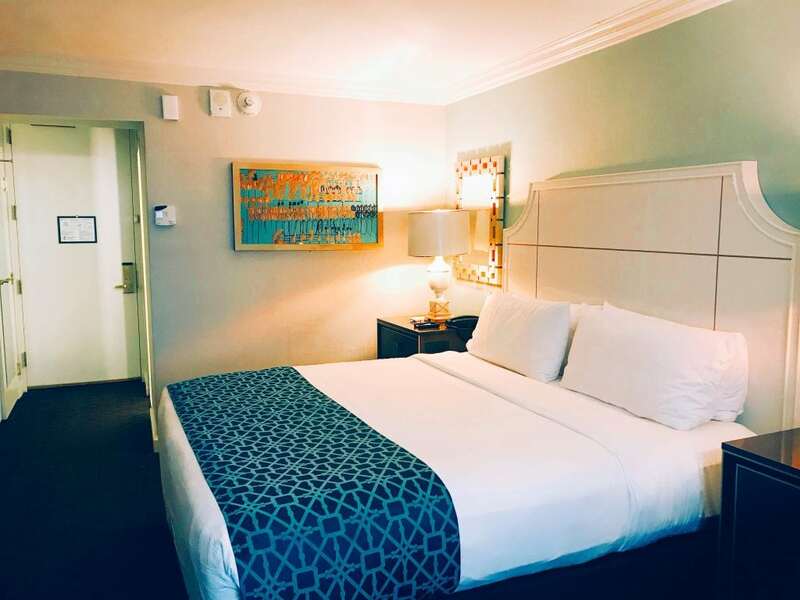 Be sure to check in and see what they have in store while you are on vacation. 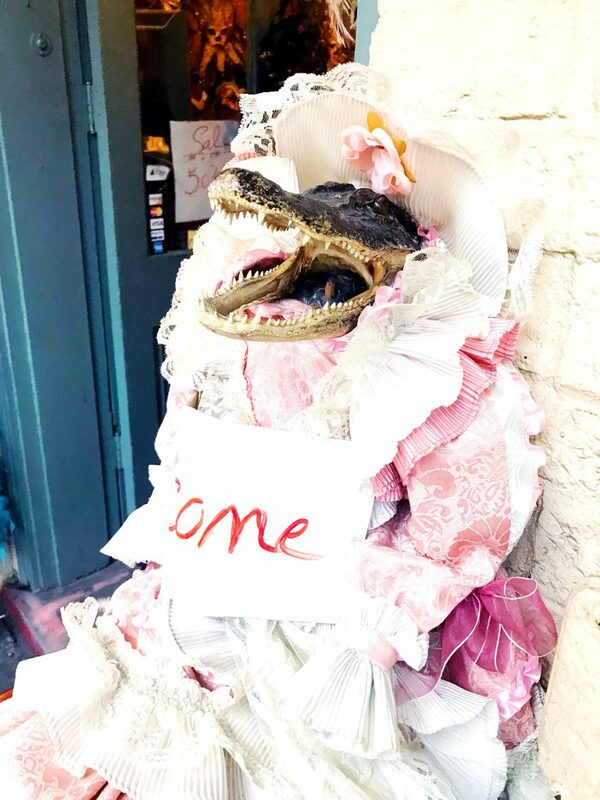 Another local secret — head to Frenchmen Street if you want to get away from all the tourists! That’s where all the locals now hang out at night. It’s the new, cooler, sexier Bourbon. Or at least… that’s what I’ve been told. We didn’t have enough time to get there to visit! But every Uber driver we had told us the same thing! 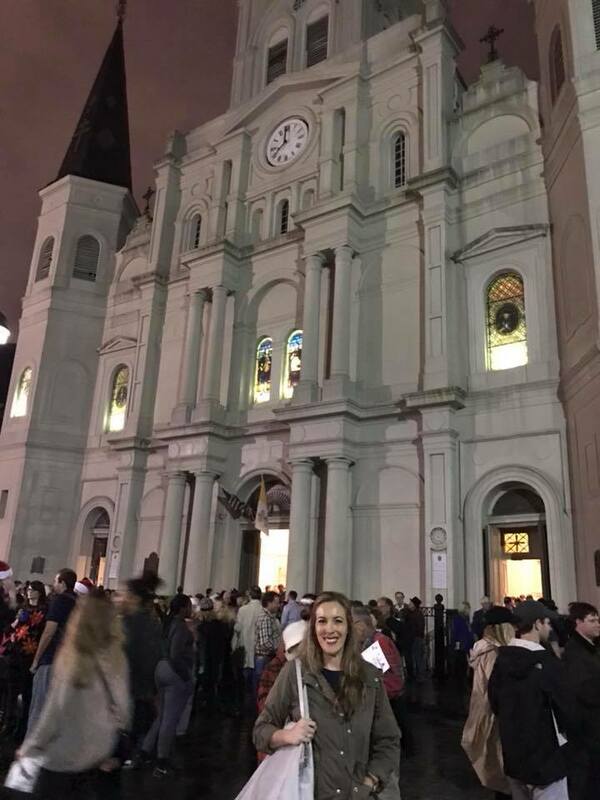 We had horrific weather while visiting New Orleans and it messed up some of our plans. We were scheduled to see singers take part in Caroling in Jackson Square, but because it was raining so hard, everything was moved inside. And it was PACKED! Next year, however, consider heading to Jackson Square to witness visitors and residents singing carols by candlelight. So beautiful! I feel like you can’t go to New Orleans without getting at least one drink while on Bourbon Street. You literally don’t need a plan at night. All you have to do is walk out of your hotel and follow the music. It is a happening scene and it goes on 7 days a week. That’s my list of things to do in New Orleans. I hope this post will act as your digital tour guide. If anything, it is a great starting point for you and your family. My girlfriend’s getaway with Audrey was fantastic. I cannot wait to return. For more information, please visit the New Orleans Convention & Visitors Bureau online. 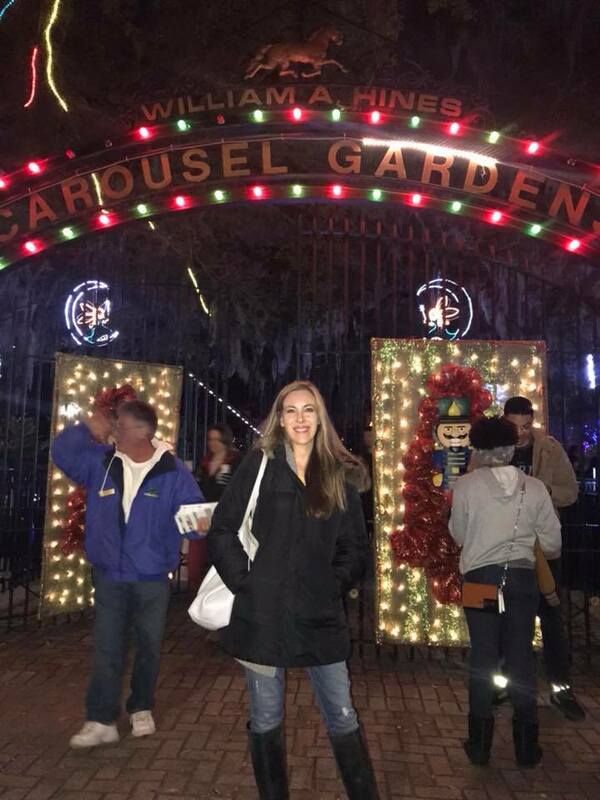 New Orleans is my absolute favorite city to visit! There are so many different things to see and do. I never leave the city without visiting at least two or three cemeteries. I am jelly like Smuckers right now! I LOVE New Orleans, but I haven’t been able to get back there for years. It’s one of those places you can never get out of your system. I haven’t been there in a long time and it would be so nice to plan a trip to New Orleans someday soon! I really appreciate you sharing all the places that you visited and things that you did while you were there! It really looks like you had a great trip and packed with great places to go and explore. I never knew the cemeteries could be so great. 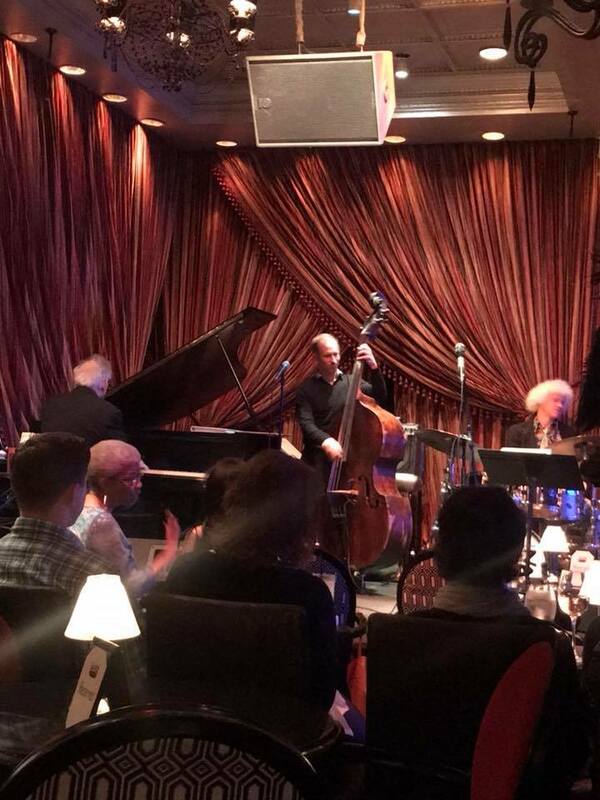 I would have to take in some of those jazz clubs when I go, they are so typical of New Orleans. 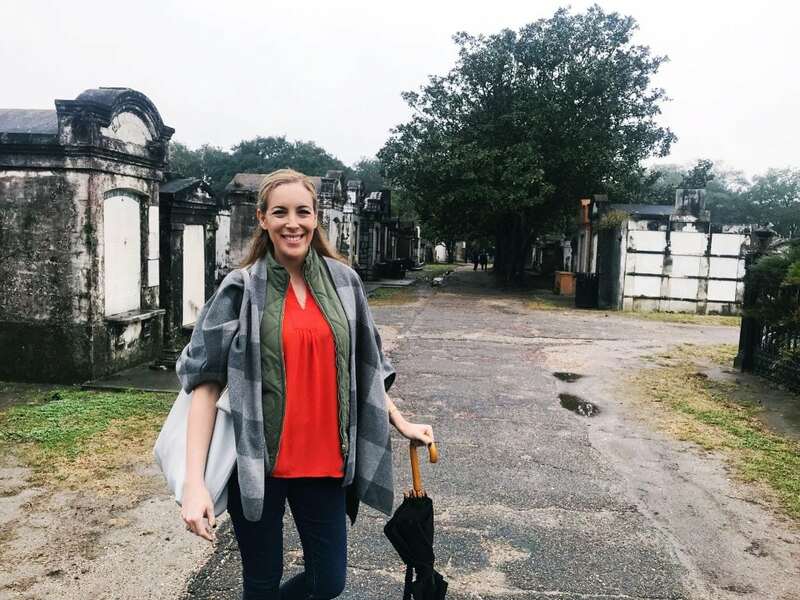 I have yet to travel to New Orleans, but after reading this post I think I need to add it to my list! It looks like a lot of fun there! NOLA is one of the highest places on my bucket list. I was hoping to get there this year actually. I followed along on Instagram and your trip looked like so much fun! What a great experience to share with your BFF! New Orleans is an awesome city. So much to do and see. I’d love to go to French Quarter for some live Jazz music! The Royal Sonesta would be a great hotel to stay at. We should plan a trip in February for Mardi Gras! Looks like it was a really fun trip and perfect to take with a friend. I have never been to NO but would love to go someday and take it all in. Yes, yes, and yes! 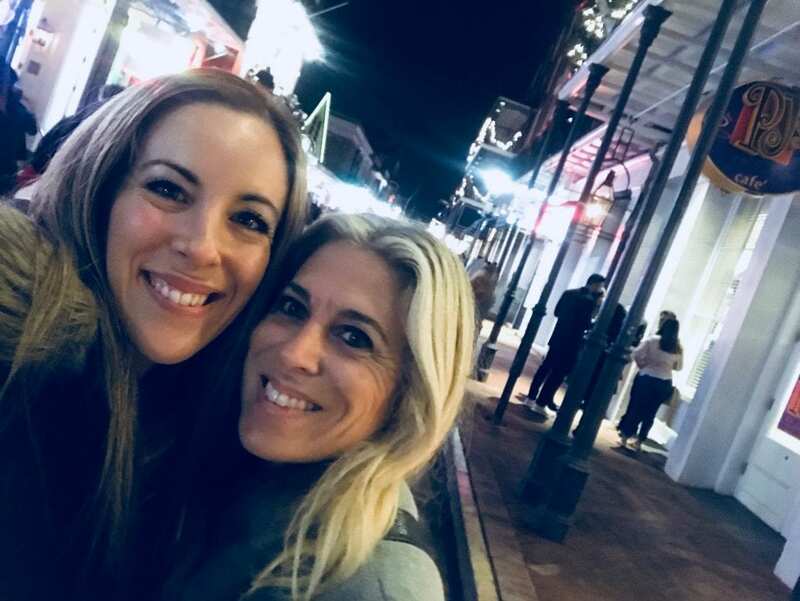 New Orleans – I always forget it as the ultimate vacation destination but you have reminded me. Thank you! I gotta jot it down because it looks like so much fun. New Orleans is definitely on my travel bucket list. I would love to hit up the Garden District, experience Mardi Gras, and chow down on beignets and jambalaya. Wow. 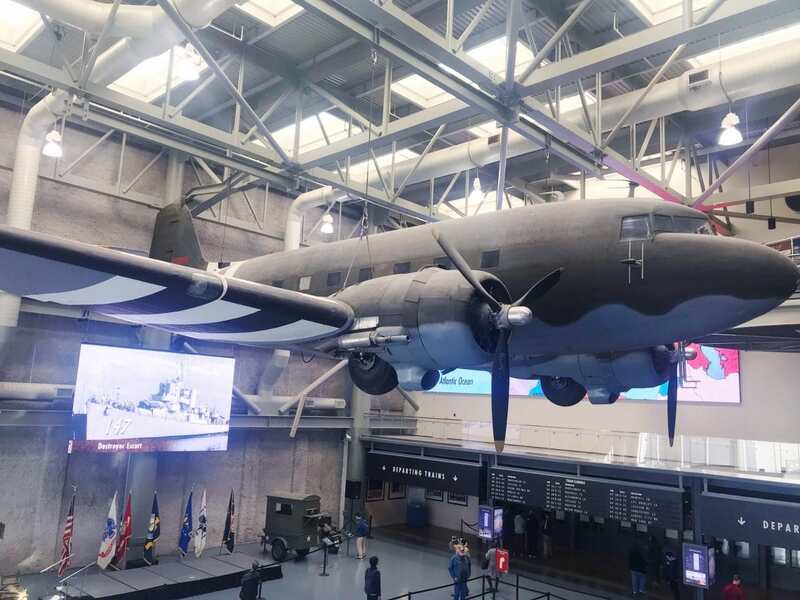 There is so much to do and so many historic sites to visit! 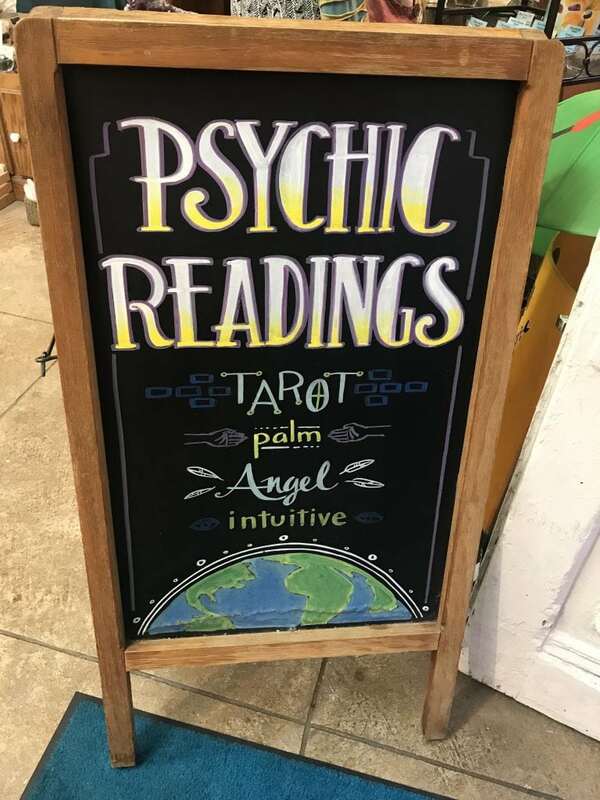 I would love to go to one of those psychic reading stalls just for the fun of it. I would like to know about past lives (if any). I have no interest knowing about the future though. Hopefully, me and my family can visit New Orleans sometime soon. I think that New Orleans looks amazing!! I would love to visit with my family too. Lots of fun stuff there. It looks like you guys had a blast of a trip! Girl trips are always the best. I love New Orleans! I will have to check these places when I go back there. I love visiting New Orleans. New Orleans is always a blast. I would love to visit some of these stops! A good friend of mine has went out there to see everything and she loved it too! I like the idea of heading out that way but we would want to spend some time in the Bayou for sure. We love the swamps and all of the swamp shows so we could not go to the area without heading out that way. I have even interviewed some of the guys from the Swamp People show that took place out there, it is an obsession of ours, we love gators!